Information technology is revolutionizing healthcare, and the uptake of health information technologies is rising, but scientific research and industrial and governmental support will be needed if these technologies are to be implemented effectively to build capacity at regional, national and global levels. 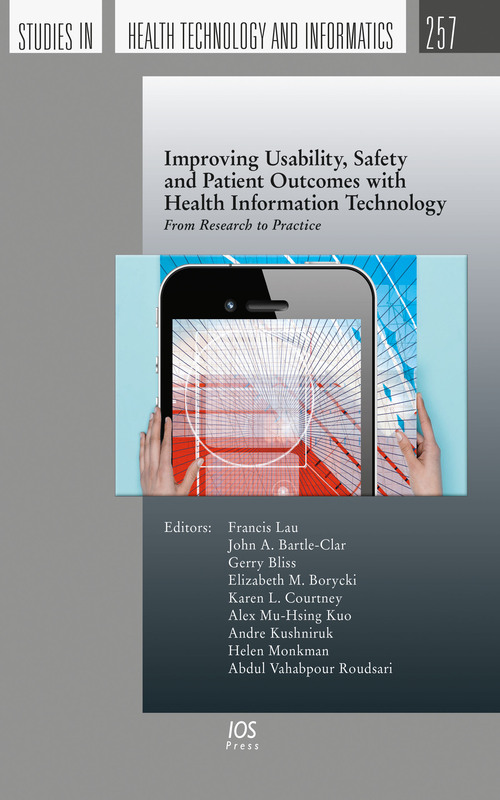 This book, "Improving Usability, Safety and Patient Outcomes with Health Information Technology", presents papers from the Information Technology and Communications in Health conference, ITCH 2019, held in Victoria, Canada from 14 to 17 February 2019. The conference takes a multi-perspective view of what is needed to move technology forward to sustained and widespread use by transitioning research findings and approaches into practice. Topics range from improvements in usability and training and the need for new and improved designs for information systems, user interfaces and interoperable solutions, to governmental policy, mandates, initiatives and the need for regulation. The knowledge and insights gained from the ITCH 2019 conference will surely stimulate fruitful discussions and collaboration to bridge research and practice and improve usability, safety and patient outcomes, and the book will be of interest to all those associated with the development, implementation and delivery of health IT solutions.